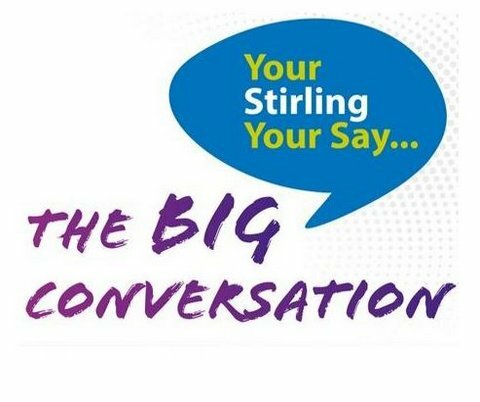 Stirling Council’s ‘Big Conversation’ budget consultation will return next week with a new set of information sharing events. Members of the public will get the chance to speak to senior Council staff and see how their input from engagement events last autumn has helped shape the next stage of the budget process, with open sessions set to be held across Stirling, starting on Monday, 21 January. Stirling Council started the Big Conversation to put residents at the heart of budget planning, and more than 800 ideas and suggestions have flooded in since it launched in the autumn. Now, residents will get a chance to see how their input has helped shape the next stage of the budget process as Elected Members prepare to take the tough but necessary decisions to bridge a funding gap of more than £4million for the next financial year, out of an existing net General Fund Budget of £210m. Finance and Economy Committee convenor, Cllr Margaret Brisley, said: “These upcoming sessions are about maintaining an open dialogue with the community. There’s no escaping the financial reality most local authorities are facing, including Stirling, but we want to assure our citizens that we are listening. Vice convenor, Alison Laurie, added: “The decisions that will be made in February at our budget-setting meeting will shape Stirling’s future, so it’s vital the public continue to be involved in this on-going process.